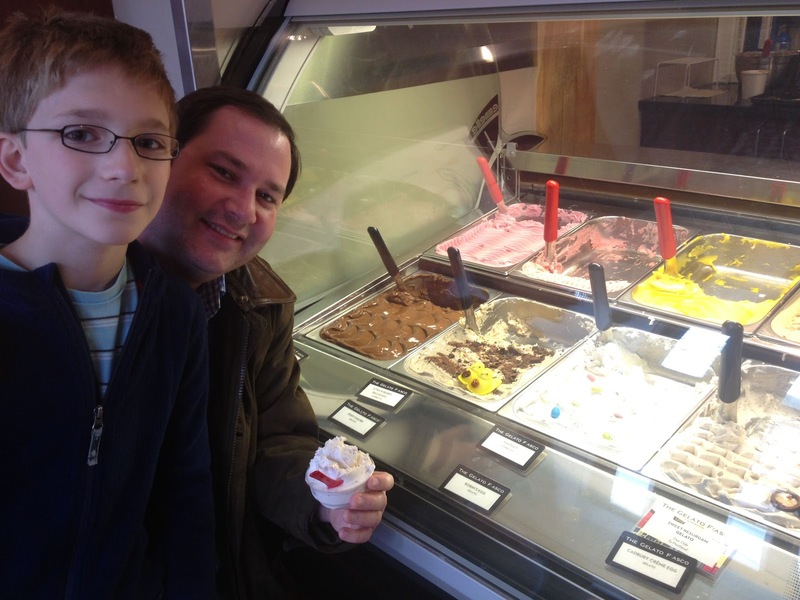 THIS is why we love Gelato Fiasco. 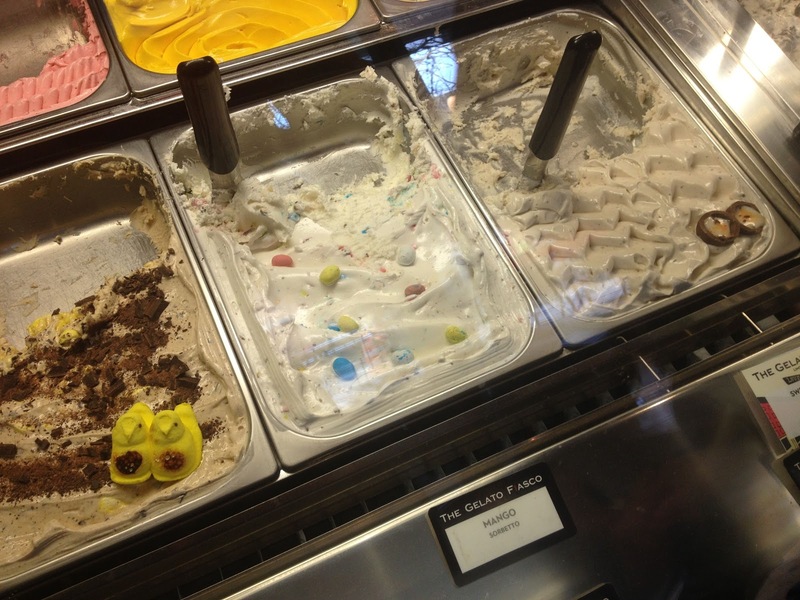 Around any holiday associated with candy, it's a guarantee that they will find a way to turn it into a gelato flavor. Halloween was amazing, as was the breakfast in December specials with their bacon and maple syrup gelato. But nothing is as brilliant as chopping up boxes of peeps and sticking them through the gelato maker machine. Of course the little C&Gs are very attuned to this and knew there would be something special waiting for them on Easter Sunday. When our friend and house guest for the week arrived yesterday, they insisted we head right for Gelato Fiasco as soon as he dropped off his bags. He arrived fresh off the plane from Houston, wearing cowboy boots, and right on time for gelato & cocktails. So we've given him a cool C&G alias and dubbed him the Cocktail Cowboy. The Cocktail Cowboy and I both agreed the Cadbury Creme Egg gelato was the best. Chunks of chocolate eggs were blended into vanilla gelato along with the yummy creme filling. Big C&G's favorite was the robins egg gelato filled with malted eggs. And who wouldn't love Peeps s'mores; cinnamon ice cream with graham crackers, chocolate, and chopped up yellow Peeps. Brilliant! Sadly I don't think the flavors made it past Easter. You can always sign up for their email alerts to keep track of upcoming special additions. Or better yet, mention it to your kiddos and they'll be sure to remind you!